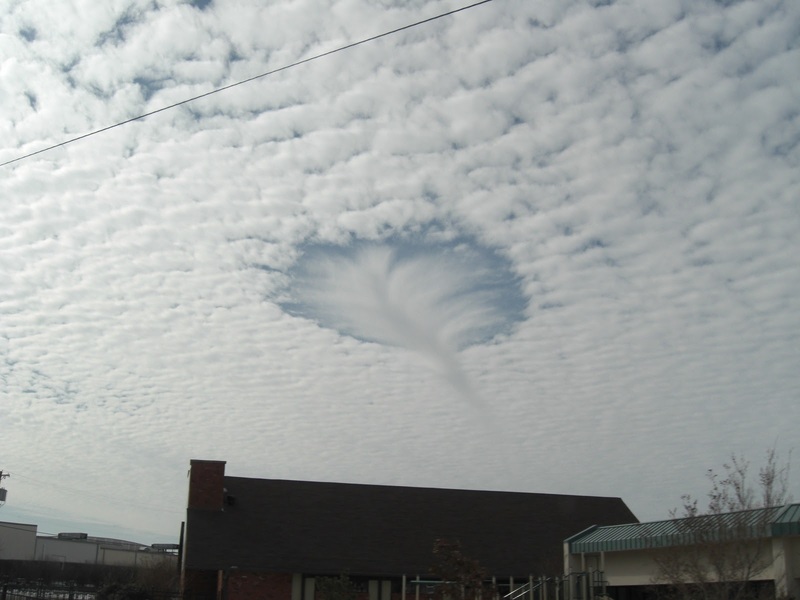 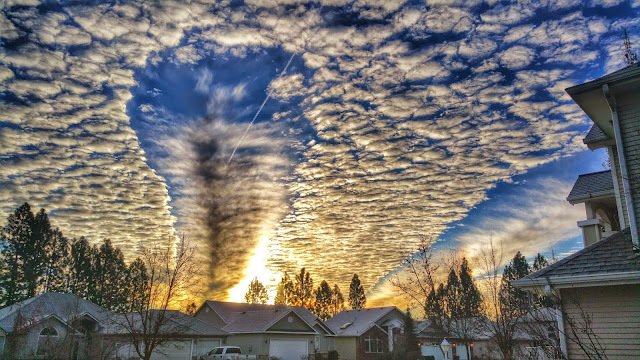 A hole punch cloud, also known as a fallstreak hole cloud, is a large circular or elliptical gap that can appear in altocumulus cloud layers and are often the result of airplanes passing through the layer of clouds. 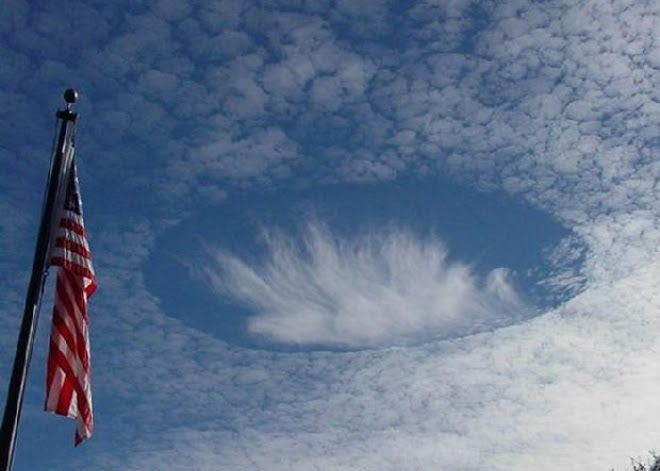 The altocumulus cloud layer is composed of small water droplets that are below freezing called supercooled water droplets. 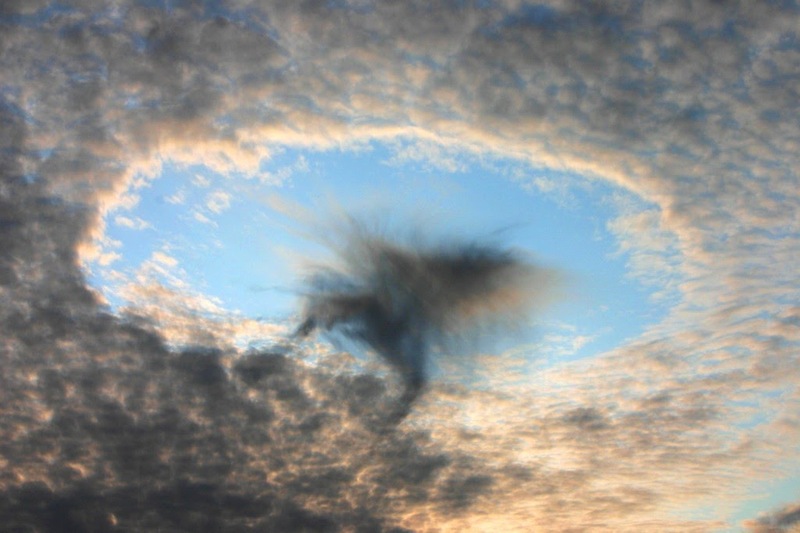 If ice crystals can form in the layer of supercooled droplets, they will grow rapidly and shrink or possibly evaporate the droplets completely. The heavier ice crystals can be formed by passing aircraft which creates zones of locally low pressure along the wing and propeller tips which allow the air to expand and cool well below the original temperature of the cloud layer, forming ice crystals. These ice crystals find themselves surrounded by droplets, grow quickly by the Bergeron process, causing the droplets to evaporate and creating a hole with brush-like streaks of ice crystals below it.